Soon there will be a iOS wallet that will let you send Nano back and forth on the go to friends, family and other people wandering on this tiny rock called Earth. To help out the Nano developer team I recently downloaded the Testflight bèta version of the NanoWallet for iOS! 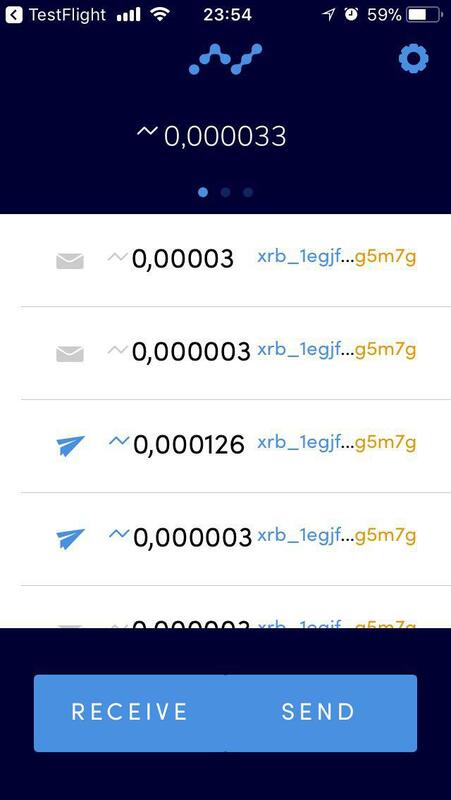 As you can see in the screenshot above it seems to receive and send funds as promised, also within several seconds between my full node (on a Windows 10 machine) and the wallet beta-app. This is a big step forward in making the Nano platform accessible for not so tech savvy people, who don't do 3 hours of research and synchronizing a DAG/blockchain without losing interest or therefore attention. 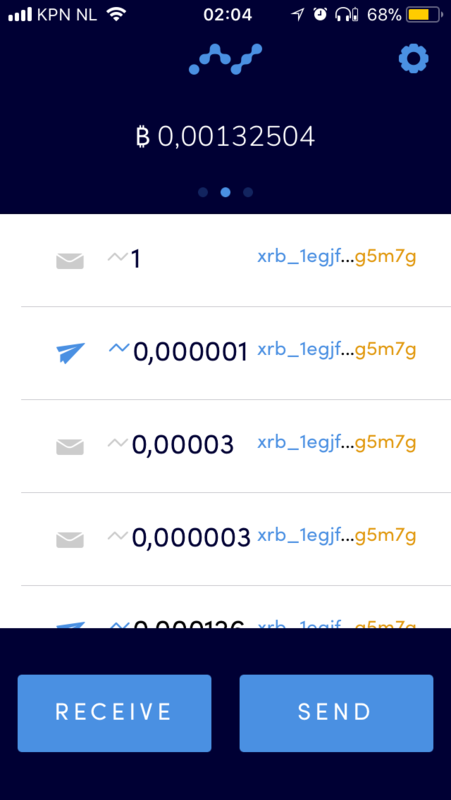 Our hero iOS app dev Zack (https://nano.org/en/team/) has received one action item from me though, as the app consistently crashes when I try to type in a euro amount to send in Nano/xrb. 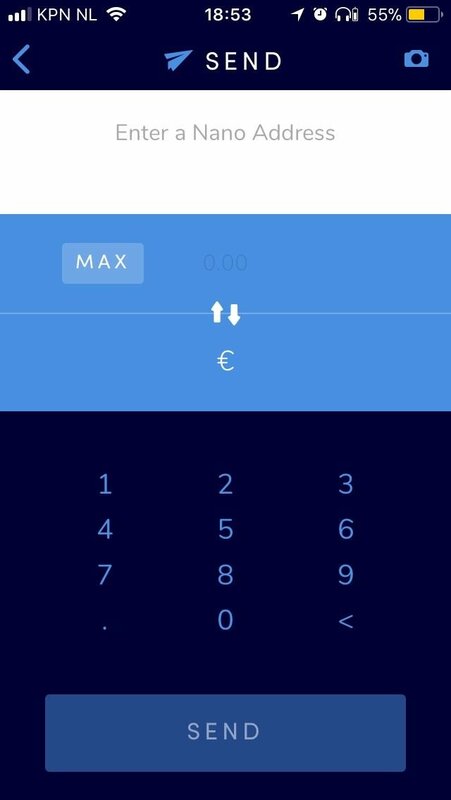 This should automatically be calculated by the app, via the current exchange rate between Nano/EUR... but instead the app decided to give me a blacked out screen and then exits.